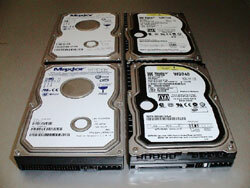 Chainbolt has reviewed the new Raptor hard drive from Western Digital. This SATA drive boasts the same 10,000rpm spindle speed as its predecessor, but it has double the capacity and other improvements aimed at performance. We see how it measures up as a single drive and in the popular RAID0x2 configuration.